Welcome to Issue 3 of The Edge of Service. You are receiving this new newsletter as a friend or colleague, or because we've connected or interacted on service topics. If you choose, you can unsubscribe by clicking unsubscribe. I have long been a student and proponent of time management. B. Eugene Griessman's book, Time Management Tactics of Very Successful People, had an early influence on me, as did the work of the late Stephen R. Covey (The Seven Habits and First Things First), David Allen (Getting Things Done), and others. As for tools and systems, I've alternated over the years between devices (remember Palm? ), paper planners, and, most recently, a combination of apps on my phone and a travel-size journal. I'm not alone in the pursuit of ideas and tools that help. Amazon lists over 2,600 books in the category of time management. Speed has become currency in business success, and the tools we use (instant messaging, mobile apps, search engines, et al.) are evolving by the day. But for all we've learned and all the technology we have, I am convinced that the wisdom of focusing on the right things and making the most of the opportunities we have—as individuals, families, communities, and organizations—is the secret sauce to true success. I hope you enjoy this issue! P.S., Thanks for the feedback many of you sent on the first two issues. With summer winding down, I will return to a monthly schedule in September. I remember the surreal day I felt like a master of time. I had conducted a workshop in South Africa and was traveling to Toronto, where I was to deliver the keynote for a conference the next day. My route from Johannesburg included a connection in London, but when I arrived at Heathrow Airport, I was informed that the Toronto-bound plane had "a mechanical" and would be rescheduled for the next morning. My stomach began to tighten as I learned there were no other available flights that day—they had either already left or were oversold. Sensing my desperation, the service agent (typing at something just shy of a million characters a second) made one final scan across the airlines that served North America. "Mr. Cleveland, I may have found something. 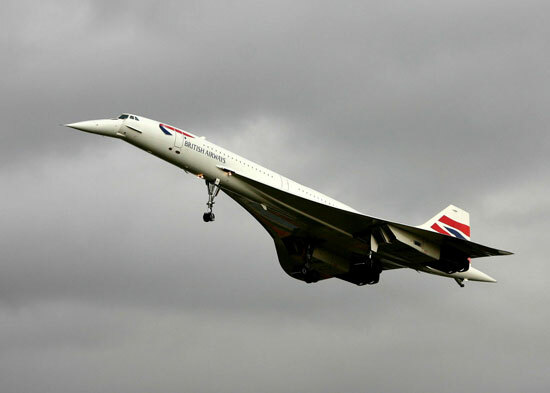 British Air has two seats remaining on the Concorde, which goes to New York. It's a different category of ticket, but I can cover half the cost." (This was not long before these supersonic planes were taken out of service.) I'll take it ... thank you! I hurriedly dashed to the BA terminal. We boarded around dusk and it was completely dark by the time we took off. As we climbed to 60,000 feet and reached our cruising speed of 1,350 mph, something strange began to happen. It was becoming light outside. We were traveling so fast that the sun was coming up in the west. By the time we landed in New York (it's about a three-hour flight), the sun was high in the late-afternoon sky. I caught a commuter flight to Toronto and, with the time change, was eating dinner in my hotel about the same time I had left London. Now THAT, I mused, is managing time. Since then, I've discovered that video conferences beat even the fastest jet. And today's tools can bring a far-flung team together in an instant. Quite amazing, really. But what are we doing with the potential at our fingertips? The ancient Greeks used two words to describe time: chronos and kairos. Chronos refers to chronological or sequential time—measured time, the clock. 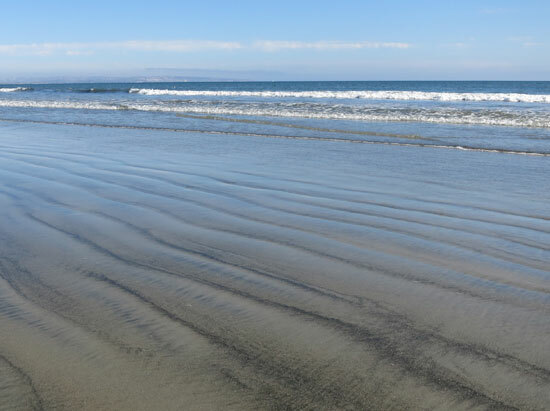 Kairos refers to the qualitative aspect of time, the opportune moment when something special happens (the picture is from a recent visit to Coronado Beach near San Diego, where the tide was providing an amazing illustration). Those moments come in different forms. I talked to a ski racer who will compete in the Olympics next year. She described the challenge—the years of dreams and sacrifice that boil down to what you do in those two minutes. On an individual level, I am convinced effective time management is mostly about intuition and discipline (and a measure of courage). In a given day, that can mean giving a push to the toughest part of the most important project (versus knocking out a dozen other things that don't matter as much), working to build consensus around important initiatives, or turning off the world and really being there for those you love. What matters most? When we give ourselves (and our organizations) the chance to pause and reflect, I believe we often find the right answers. Source: OECD data, presented in CNNMoney, July 16, 2013. Source: ICMI's 2013 report, Extreme Engagement in the Multichannel Contact Center. A matter of intuition and courage... if you could snap your fingers and have three things done in your professional life today (tough phone call, important meeting, big push on a project), what would they be? How about this week? This year? How about personally (think family, dreams, long term/eternal perspective)? What would you do today, this week, this year? OK... there they are. My hunch is, they are right on the mark. Atlanta, GA, October 21–13. ICMI's Call Center Demo and Conference (conference theme is managing complexity in today's multichannel contact center). For more info, see www.icmi.com. Seoul, Korea, November 6 through 9. Keynote and seminar for APCCAL Expo. Organized by Professor KJ Cheong, the event will bring together leaders from throughout the region. Those interested in sponsoring and participating can contact Jane Seo at [email protected]. Tokyo, Japan, November 13 and 14. Address on the customer service industry and practices for ICMI/UBM (address and times TBD; for updates, see http://www.icmi.jp). Brad has devoted his career to maximizing the value of customer-facing services. As a speaker, consultant, entrepreneur, executive, and president/CEO, he has seen change from many perspectives and has a deep understanding of the critical importance of customer service delivery to an organization's success. He has worked across 45 states and in 60 countries, and has been privileged to assist in the evolution of service delivery for clients such as American Express, Apple, Coca-Cola, USAA, and others, as well as for governments across the globe. Brad serves as a senior advisor to the International Customer Management Institute (ICMI), and is an in-demand speaker and consultant. To inquire about consulting or speaking, connect through any of the channels below. Please feel free to forward and share this newsletter!